It was so nice to have a holiday this week and get a day off of work and a chance to gallivant around town! 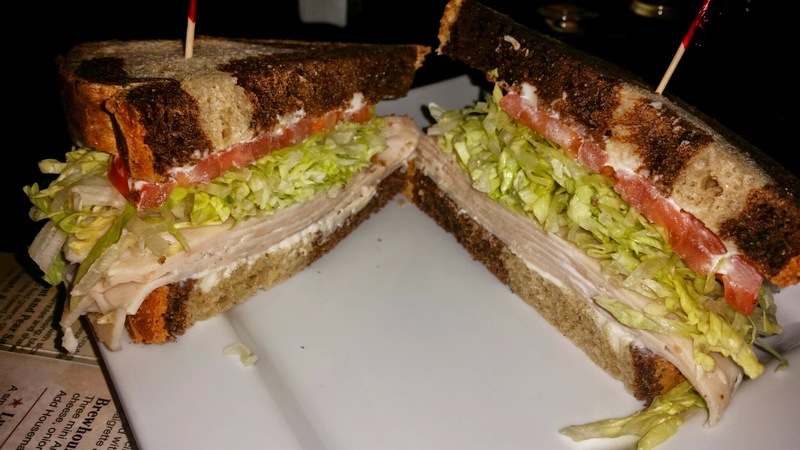 I went to meet up with my husband at JT Schmid’s Restaurant in Tustin as we had been invited in to check out the Fall Menu items which sounded fabulous to me! 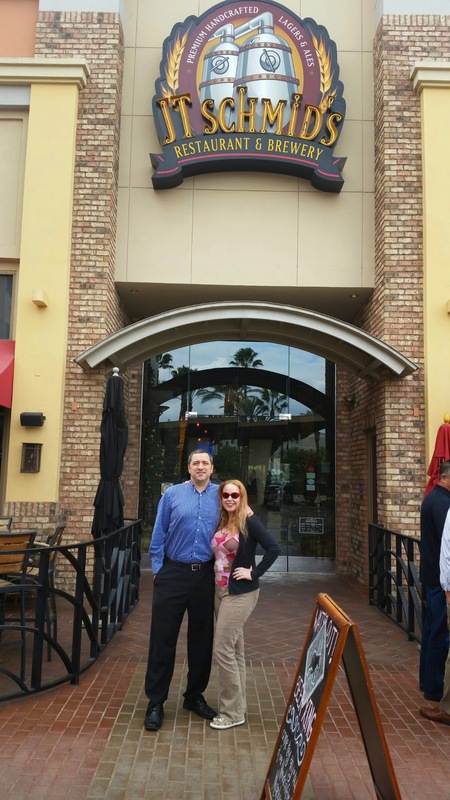 JT Schmid’s has two locations, one in Anaheim & one in Tustin. The Tustin location is conveniently located in the District Shopping center amidst a variety of fun stores and restaurants! 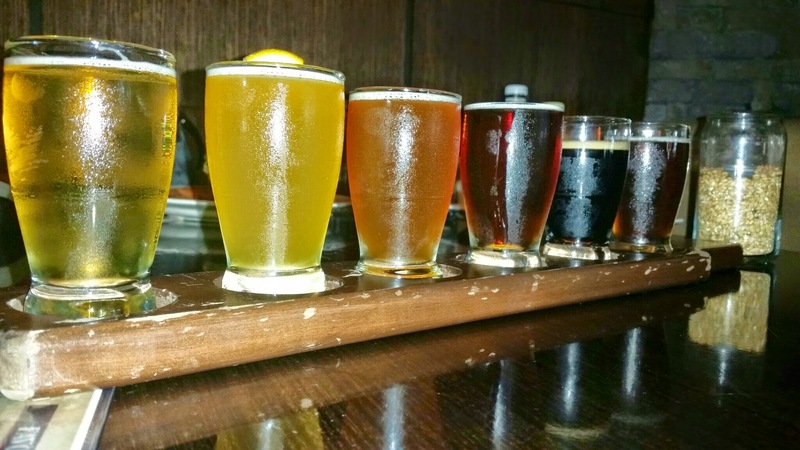 I have visited JT Schmid’s in the past and I thoroughly enjoyed their beers, burgers, and other offerings. The variety of items on the menu is impressive! They literally have everything from prime rib to salads to turkey burgers to the legendary 6 Pound burger, but that is a whole other story! the Oktoberfest blend! My 2 personal favorites were the basic blonde and the Hefeweizen, but I also must say I really enjoyed the Amber as well! Alcohol concentrations of these beers range from Blonde being the lightest at 4.8% to the Stout being the highest in alcohol content at 8%. I recommend the sampler to fist select your favorite beer, and then feel free to go from there! 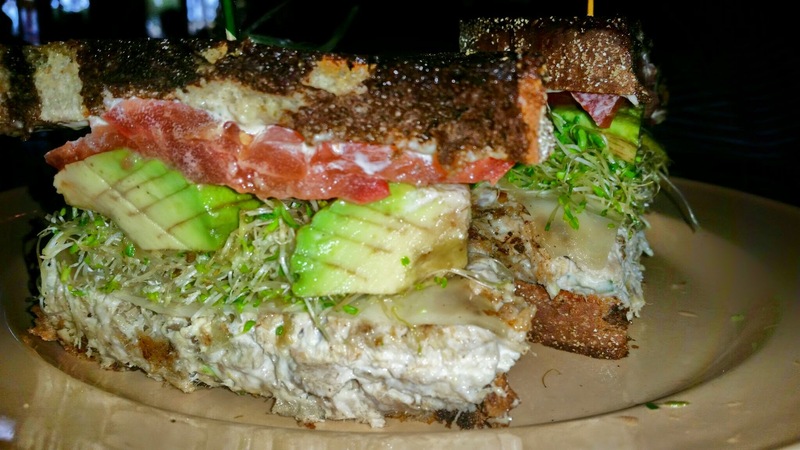 We had the Ahi Tuna Melt Sandwich with tuna salad served on marble bread with Jack cheese, avocado, tomato, sprouts & herb pesto aioli sauce. I loved the flavor of this tuna sandwich and it was not like that standard tuna melt, in that it was made with fresh ahi! I will revisit this sandwich again! It was big in flavor and in size! The garlic mashed potatoes were delicious and they were made from scratch. 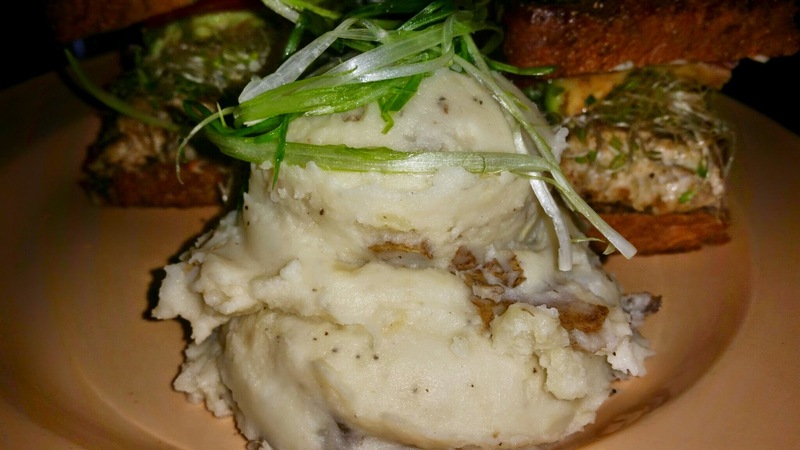 Every portion of the potato was used to make these mashed potatoes, including the skin and the flavor was perfect! 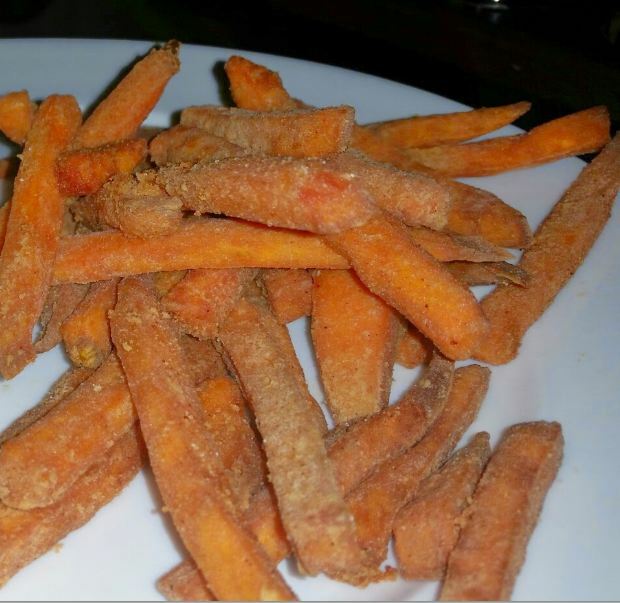 The Sweet Potato fries are made fresh and have a delicious sprinkling of sugar and a pinch of salt. They have a different consistency than the normal fry because they are made without preservatives and the flavor shows! These fries are awesome and a must have! 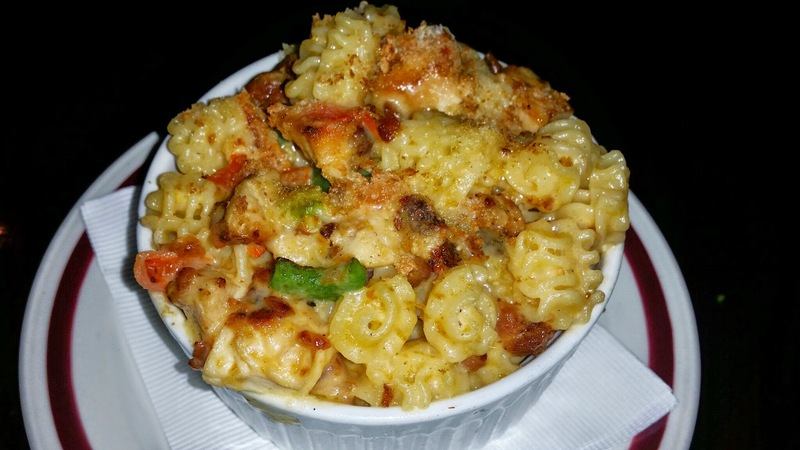 The Jalapeño Mac & Cheese was created with grilled chicken, diced tomatoes, bacon and raditori pasta in a creamy ale sauce made from JT Schmid’s own beer with Jack, cheddar, pepper Jack cheese and Jalapeños. This dish was jam packed with flavor and spice! I am not normally a spicy person, so I was unable to eat much of this dish & next time I would probably order it with no jalapenos because I am a wuss. 🙂 I must say the flavor on this dish was phenomenal in its’ own right though and while I have a hard time handling heat in my mouth, I still insisted on taking several bites! 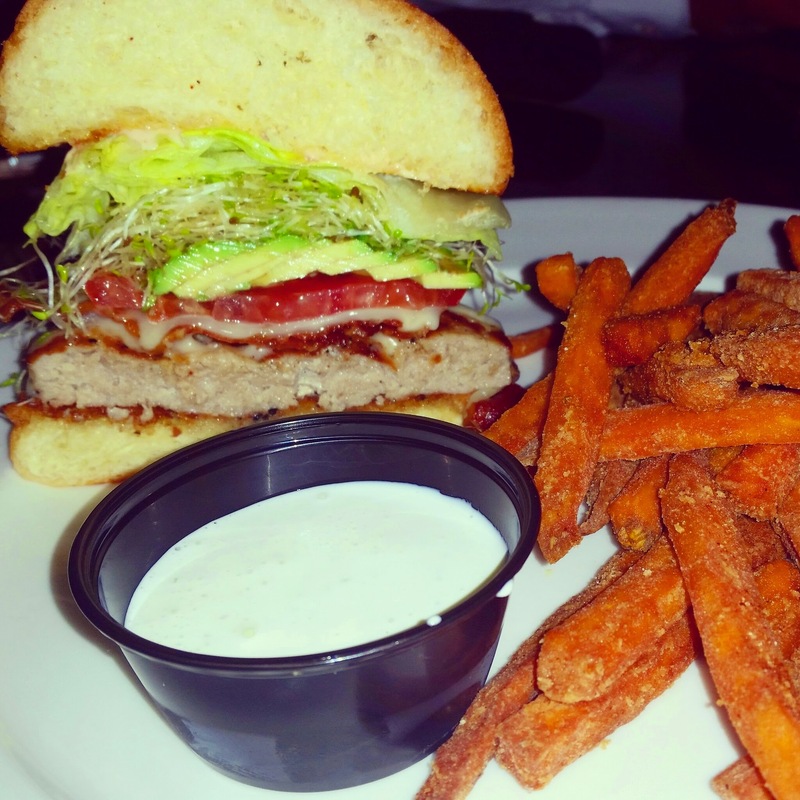 Lastly, we had the delicious Turkey Burger with lettuce, mayonnaise, sprouts, Monterey jack cheese, and bacon. You can select any burger style and substitute a turkey patty. 🙂 I do not usually order turkey burgers when I am out, but I was so pleasantly impressed, I may just start doing so! 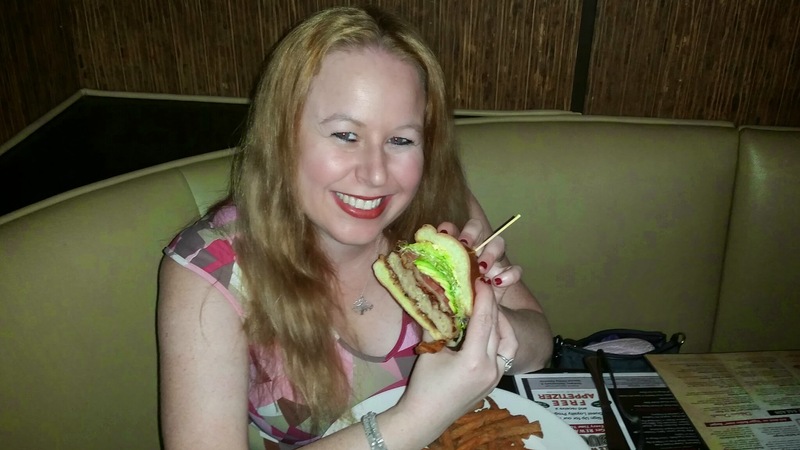 The meat was thick and the burger was juicy! I honestly think this was one of my most favorite items I tried for the afternoon! Have you visited JT Schmid’s? It is a really tasty place and I recommend you head there soon to check out the fall items, such as the turkey burger, sweet potato fries, and the seasonal beer! I love it! It was a great meal! Thanks for the comment! I came to the conclusion that I should never read your blog when i am hungry, drooling over here. The food looks so good! I am really liking the menu to this restaurant. It looks like the food is really good. omg the food looks scrumptious. Damn, I used to be able to go to a Beer related restaurant and embibe. Now a days iʻm not able to handle one beer! Thank you for the great fooding! This place does rock! Thanks for the comment! Wow, that food looks #nomnomnom!!!! I have so many friends that would LOVE the selections of beer! Thanks for this ninja tip!